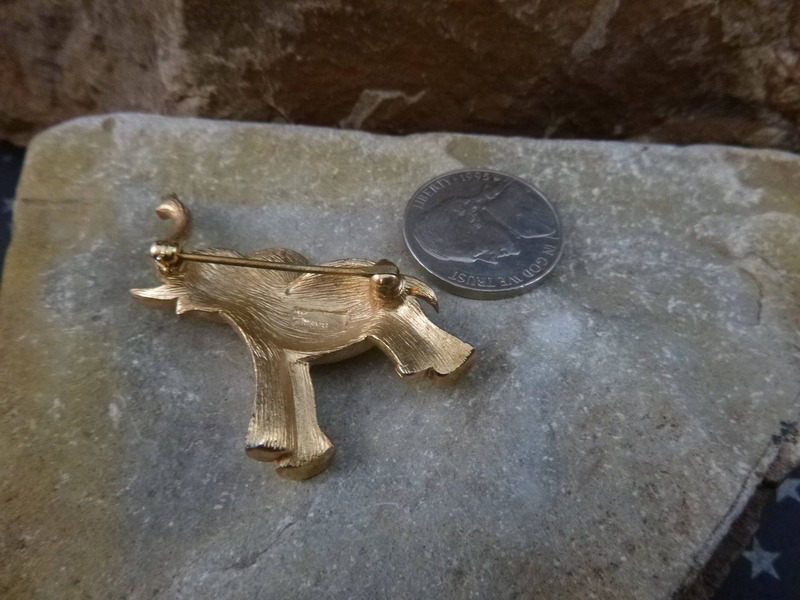 This well-crafted, gold tone textured matte finished, high quality pin is in very good vintage condition for its 60+ years of existence. The safety clasp and pin are strong and secure; the metal bright. 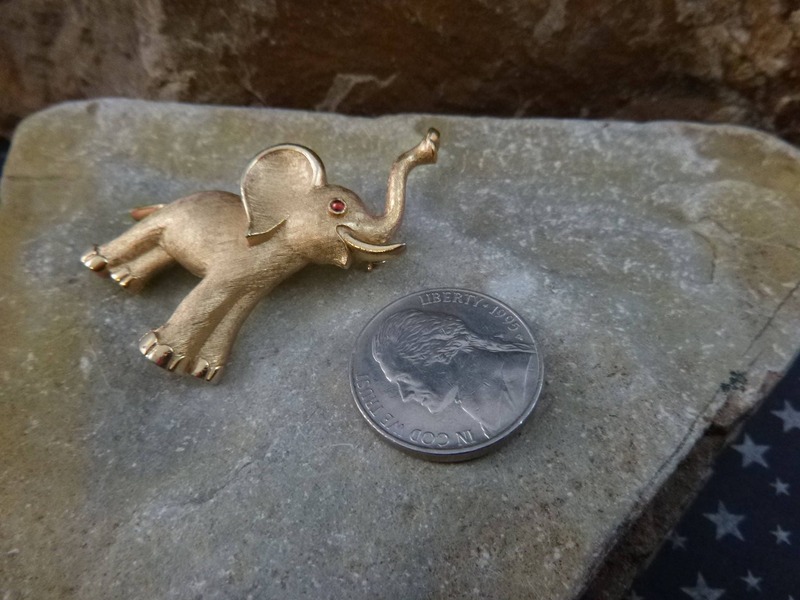 Measuring 1 5/8” tall and 1” wide, this elephant with a red glass eye makes a political statement in a small way. 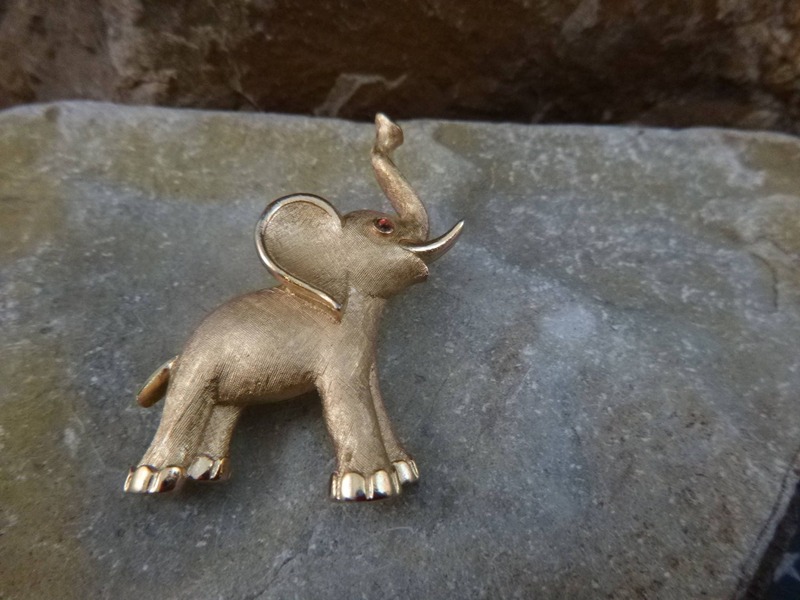 Or one can look at this little elephant merely as a figural pin. 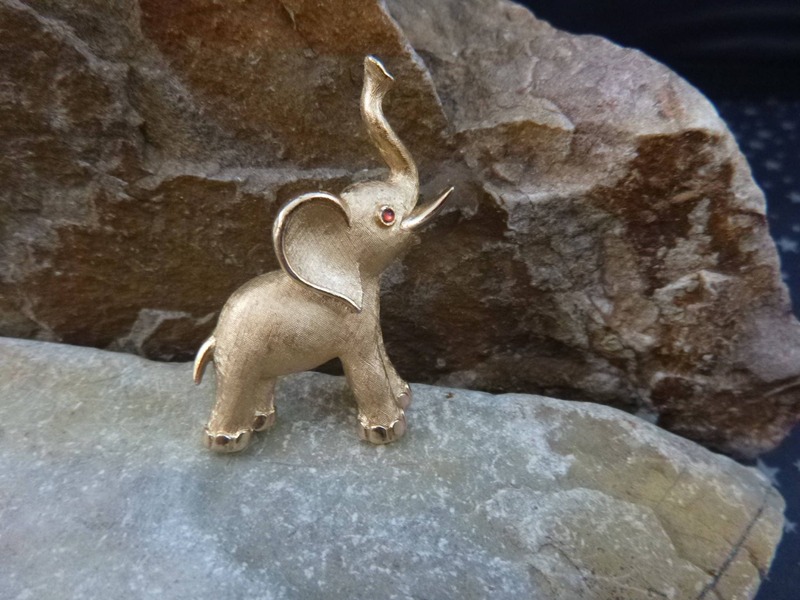 However, as the symbol of the Republican Party, and with the good luck sign of a raised trunk, this elephant says a whole lot more. 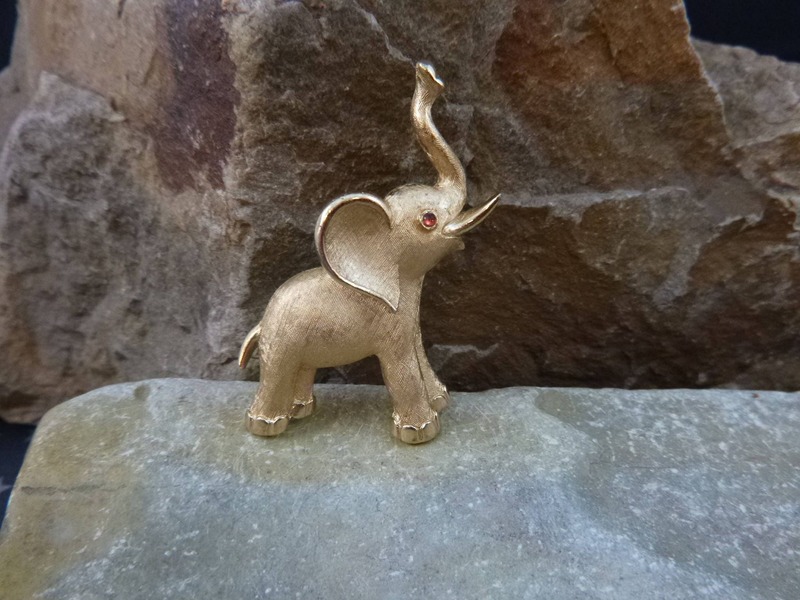 From Election Day to July 4th this elephant symbol of the Republican Party is perfect for those wanting to proclaim their affiliation in subtle ways. The pictures offer greater perspective on the condition and styling of this vintage Crown Trifari petite pin.